has been held fun events. You will feel the blessings of nature and history to it. 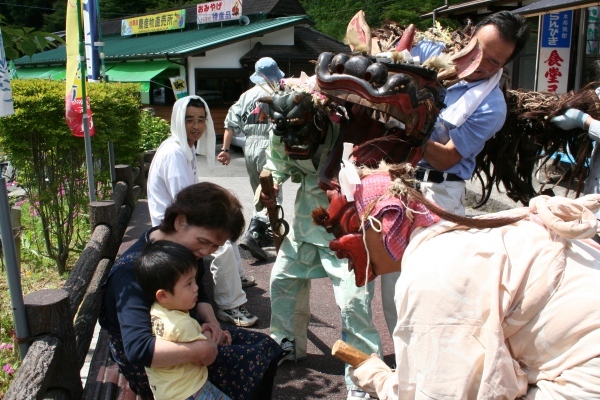 It is very unique village of events. Let's enjoy the various events! 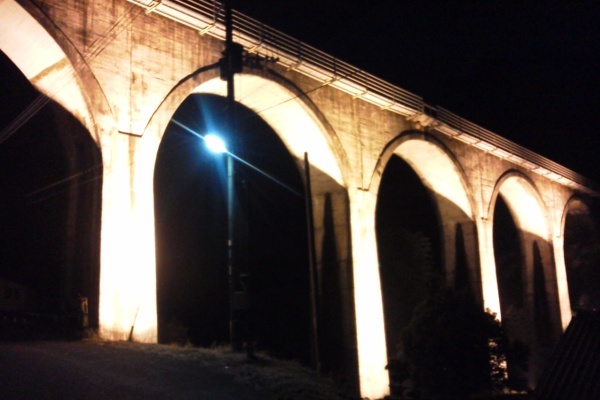 Train that runs on the glasses Bridge is like a shining galaxy railway. To shoot the fantastic landscape, photographer also visited a lot. 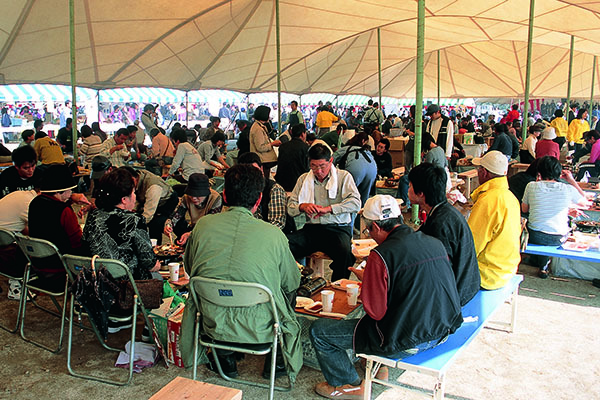 Traditional festival Iwaya festival that lasted longer. 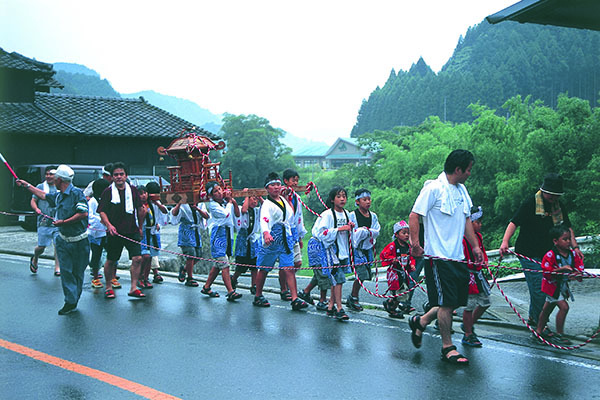 Majestic "Goma memorial service" and"Kagura", the village young　peaple climb the mountain "Abare mikoshi", it is a fun event Lots. 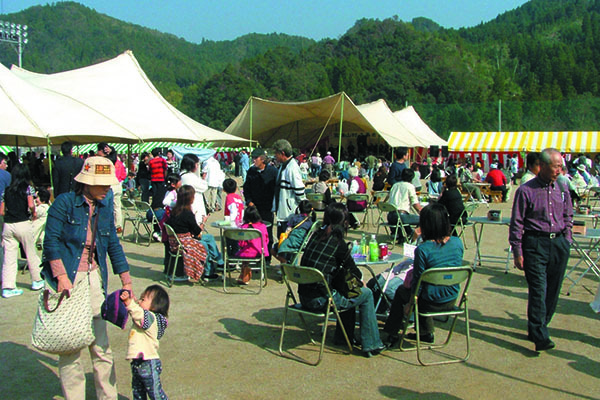 Ceramic festival in spring and autumn, is held twice a year. 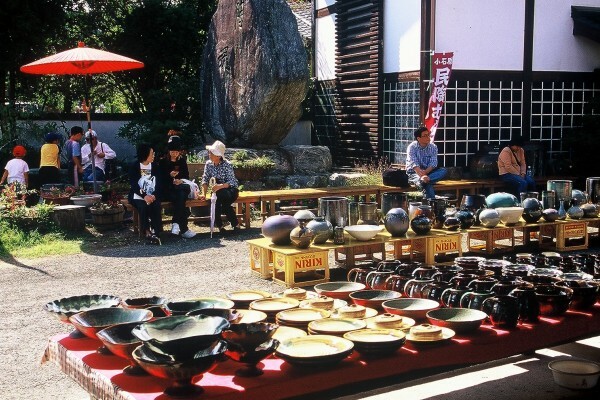 In pottery, potter's ware made in accordance with the festival is being prepared. We can buy it at cheaper prices than usual.Crowded with a lot of fans coming doing seeking unusual from all over the country. 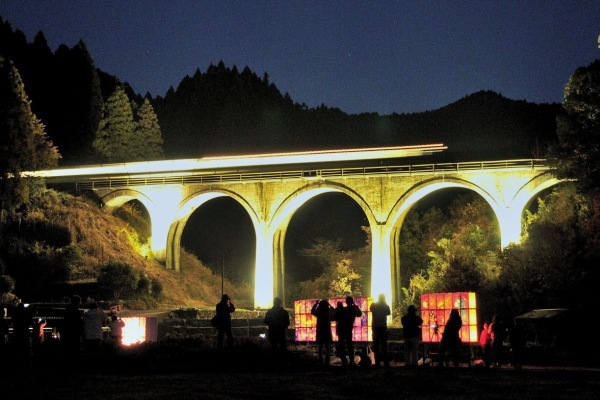 By long protection movement activities, the village is the attractions of the leading firefly also in the prefecture. 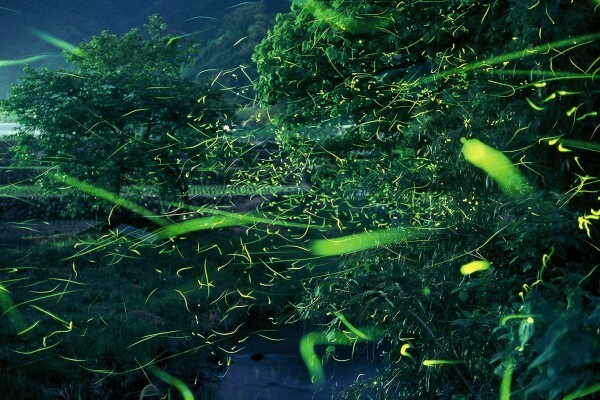 The village of two primary rivers (Houzuyama River-Ohigawa), a lot of fireflies inhabit. 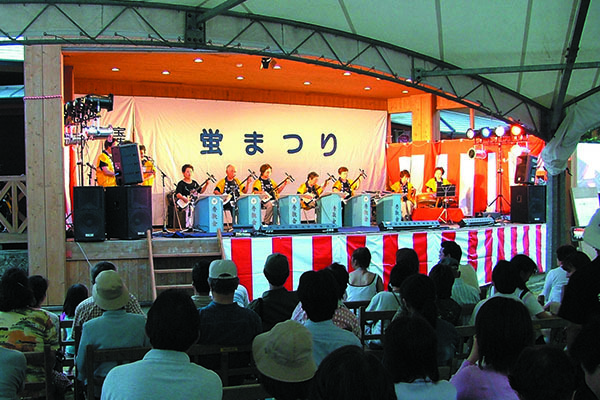 "Firefly Festival" is crowded with a lot of people as a tradition to tell the beginning of the summer. 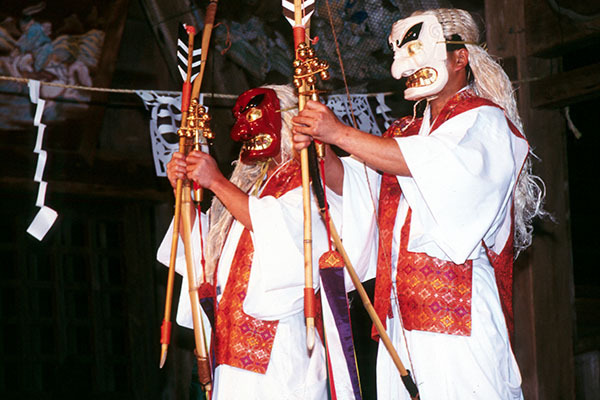 ※ Parking Please use the Houzuyama ground (shuttle bus from the parking lot to the festival venue). TAKE area that have been certified in Japan terraced rice fields hundred election. 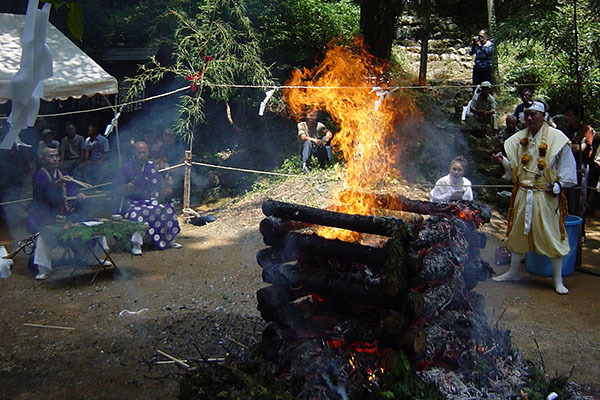 On this day, and lights for about 1,200 of handmade torch to rice terraces filled with water. Must see the fantastic scenery that myriad of light is builds reflected on the surface of the water of the terraced rice fields. 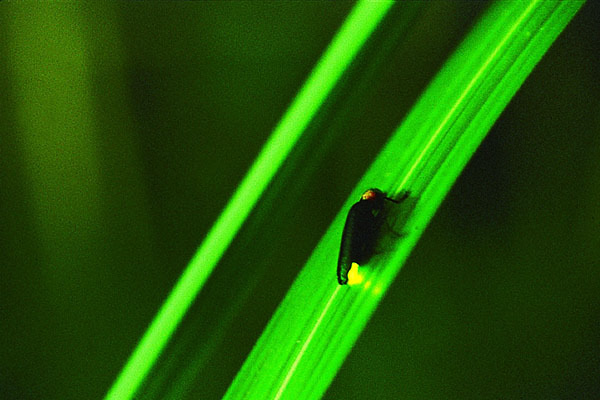 Also seen wild dance of the fireflies around. There is a stage events and store openings. Since the dark feet, please come with a flashlight. 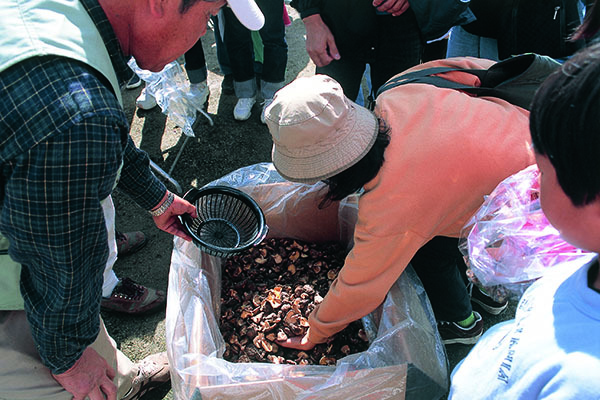 ※ We ask 500 yen as terraced rice fields conservation cooperation money (more than junior high school students). This is a funds of the terraced rice fields conservation activities. 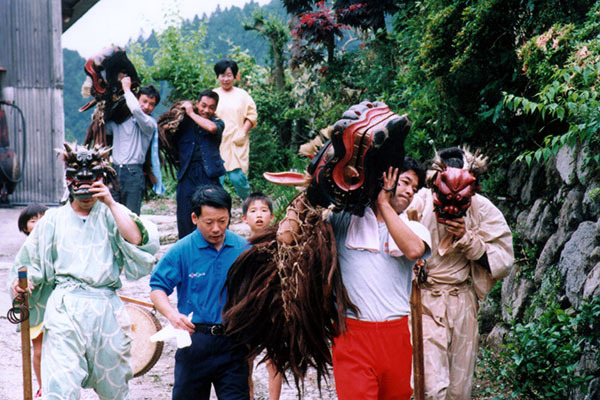 Young man with a lion's face visit the houses while threatening the children raised the loud voice.They are you praying for the health of the people. People will replace the "Uso(lie)" of wood carving at the venue. 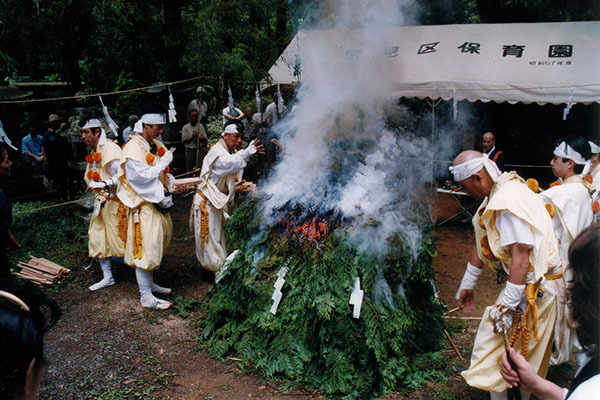 And, by changing the last year of misfortune to Uso (lie), is auspicious event to attract this year of good fortune. 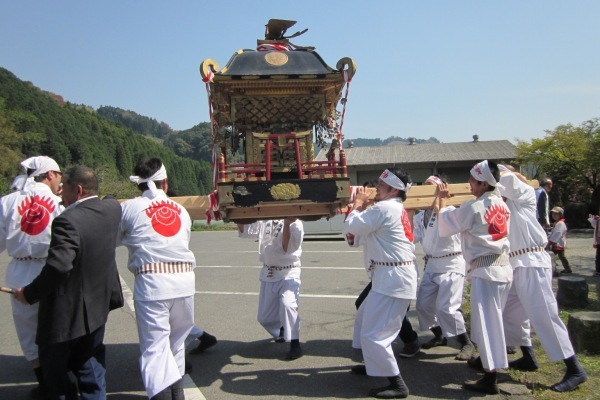 Summer festival that held place in the Koishiwara plateau of cool environment. 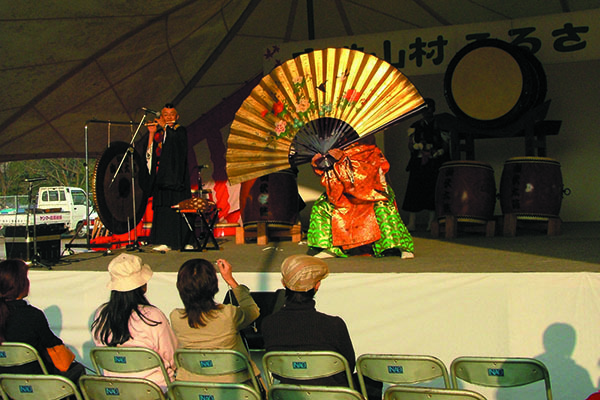 It is also performed various events of Shops and taiko. At home festival. 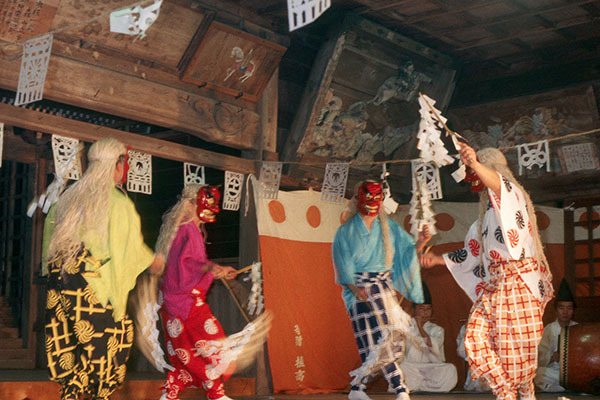 Once summer festival that takes place in two years.Lanterns Yamakasa to symbol, somen sink and Bon dancing is performed. Also do not forget brilliant fireworks. 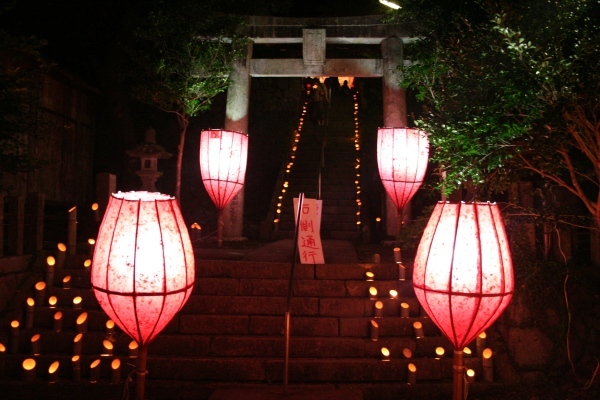 Thousand votive candle is a festival with a long history. Candle of lined bamboo to the stairs up to the main hall is fantastic. 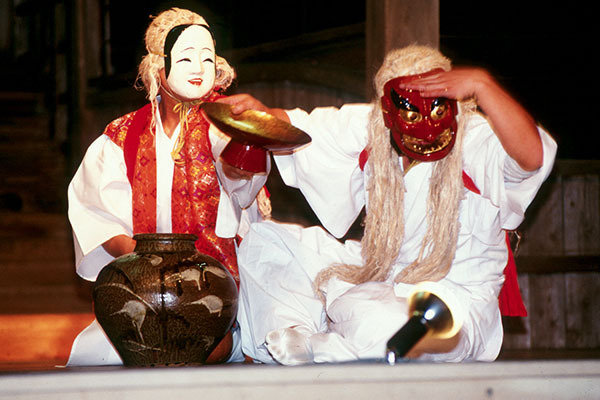 Year one-time night Kagura, solemnly be played, will captivate the audience. 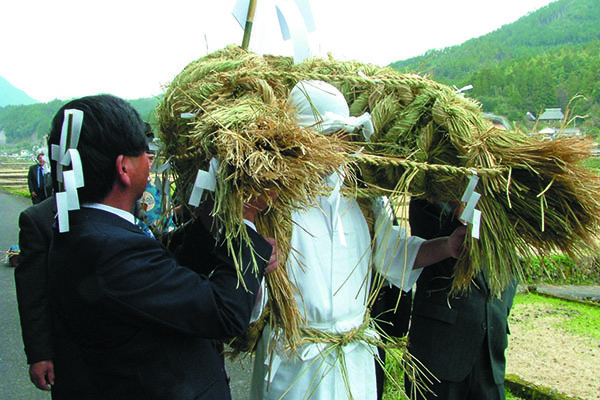 Bearers straw portable shrine called "Ohoshi like" made with new straw caught this year, will head to Fukui shrine. 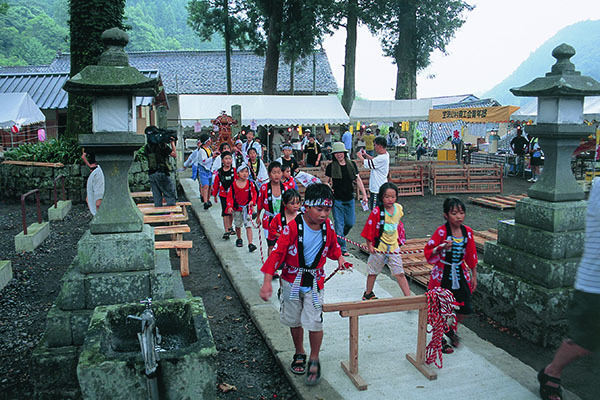 Turning round or resting 3 times or more on the way, is a very new festival which is not allowed. 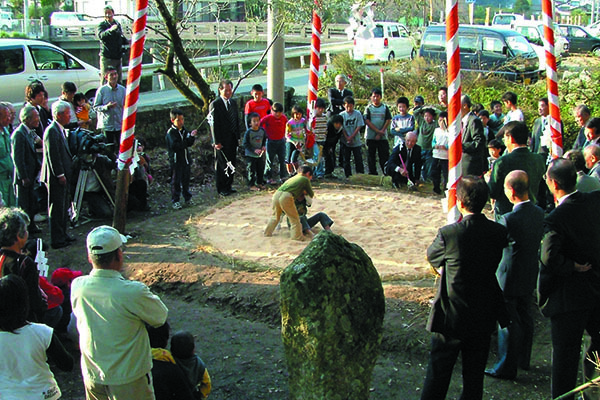 The Sumo convention in which the children of a village participate is also held. 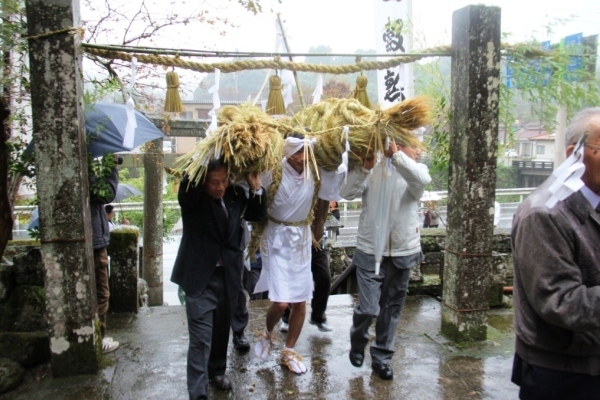 "It is the harvest festival of autumn. 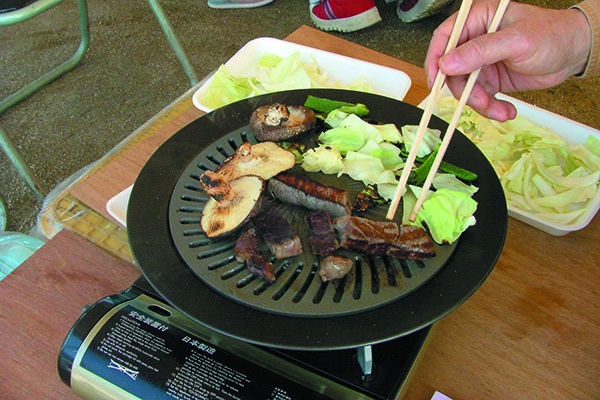 Sales of specialty products, stage events, the local cuisine, is a fun event.